I rarely post anything about a “bad” meal – if I don’t say anything after eating at a place, it’s because I enjoyed nothing about the meal. Bad service, on the other hand, needs to be talked about. Tonight we tried to have dinner at Linton’s in the Park, but the front of house just couldn’t manage to seat us. We arrived 25 minutes early, after wandering around the holiday lights display. We had a 9:00 reservation, which was the earliest they had available on open table, when I tried this morning. They took my cell number to call us (there’s no place to wait inside), if one of the tables they were holding freed up. I understood that (as we were early, although there were a couple of empty tables), so we sat and waited outside (with a temperature in the mid-50s). Someone came by, about fifteen minutes into our wait, and offered us coffee and to bring menus for us to look over. Note – we did not ask for coffee, it was freely and randomly offered. Neither the coffee or the menus ever (10-12 minute span) showed up. We waited the 25 minutes and when we walked in the door, on time, for our 9:00 reservation, there were three empty tables, that I could see. The young lady at the hostess stand told the other young lady standing there to check with the _______ party and see if they were coming and, if not, to seat us at a certain table. Basically – making sure she had a seat for someone who was late when someone who was on time was standing in front of her. To say that this didn’t sit well with me (technically, we didn’t sit, inside, at all) would be an understatement. I asked her how long they held a reservation and she replied 20 minutes. It was 8:59. I asked what time their reservation was for. She replied 8:38. Seriously? They take 8:38 reservations? At this point, what appears to be the manager walks up and asks what the issue is, as we’ve been standing in the entrance for several minutes now. We’re explaining and, while we are doing so, realize that he’s the guy that was going to get us coffee. We were done. He followed us out the door, offering random things to “make up” for the inconvenience. 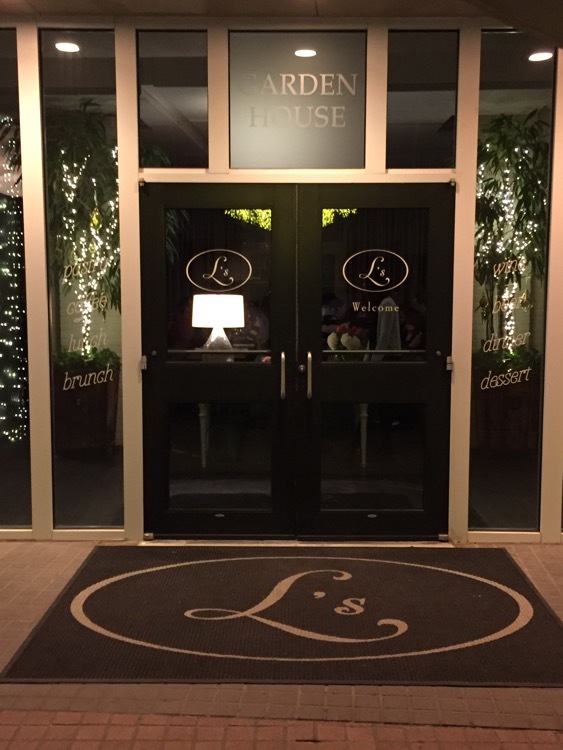 I won’t detail every word of the conversation, but I explained that I am a huge Linton Hopkins fan and if this had been typical of Restaurant Eugene, they wouldn’t be one of the top restaurants in the city for a decade and my first recommendation for fine dining when asked. I had been wanting to try this place, but you have to be inside the Atlanta Botanical Garden to dine there – tonight that was a $10.00 parking fee plus two tickets to the Garden Lights show. Part of the reason we decided to go to the light show at the Bo was the chance to eat here. But anything would have tasted like vinegar at that point. As we got in the car, at 9:15 the Cafe called to see if we were going to be keeping our reservation. I guess they needed a table…. They couldn’t even figure out that we were the ones they had talked to three times in the last half hour.